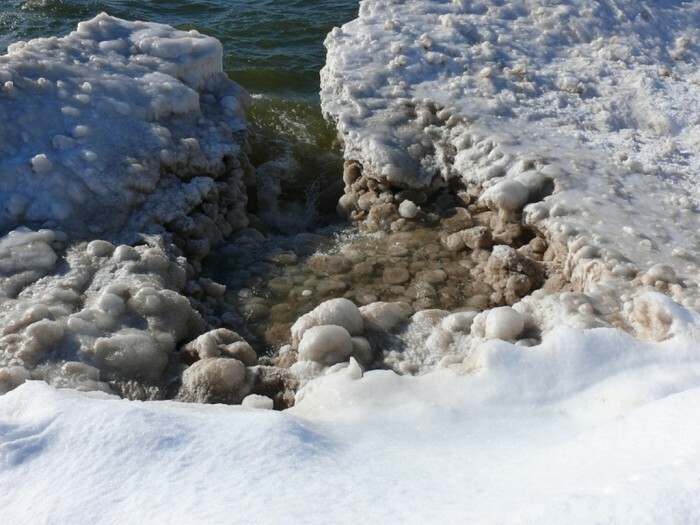 Have you ever seen rocks that are shaped by water? It may sound strange for you because water is unable to form rocks. 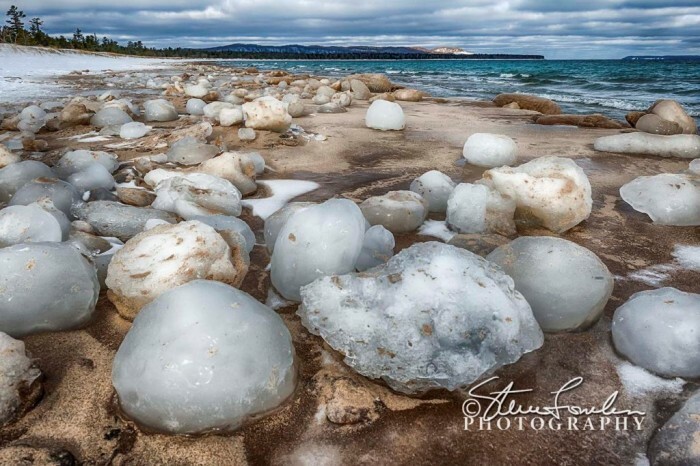 An unprecedented and unusual phenomenon appeared on the shores of Good Harbor Bay on Lake Michigan as there are unique and weird ice boulders that look like massive balls. 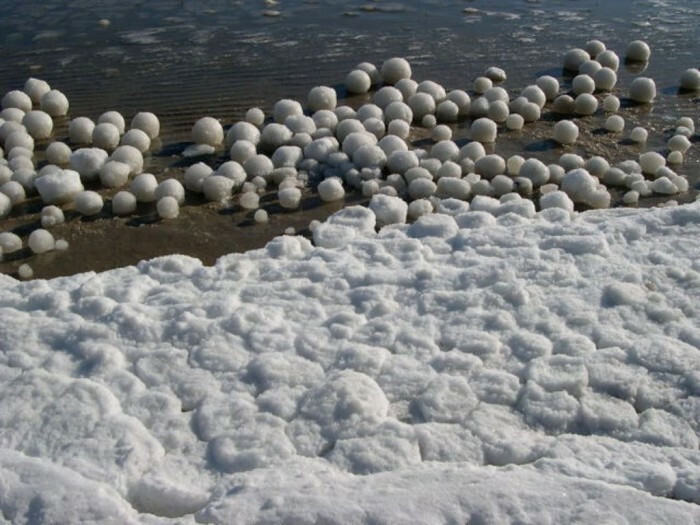 They were found in large numbers that cover the shores as there are hundreds of them. 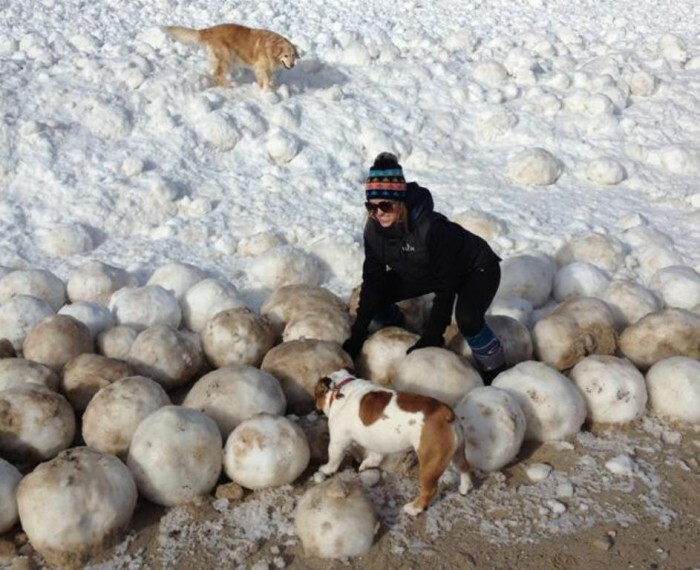 The ice boulders are in the same size of basketballs and larger and each one of these boulders weighs about 75 pounds. 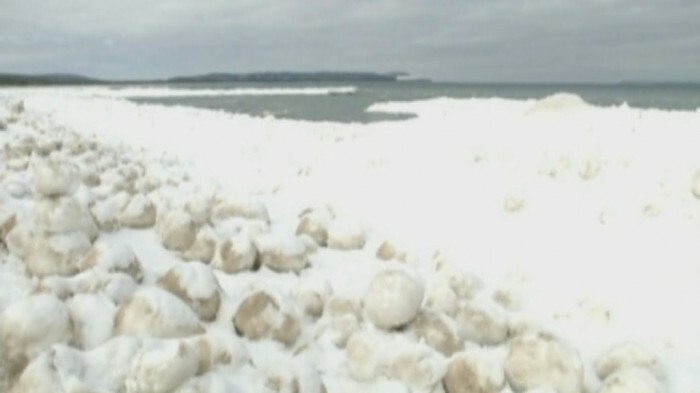 It is not the first time for these ice boulders to be found on the shores. 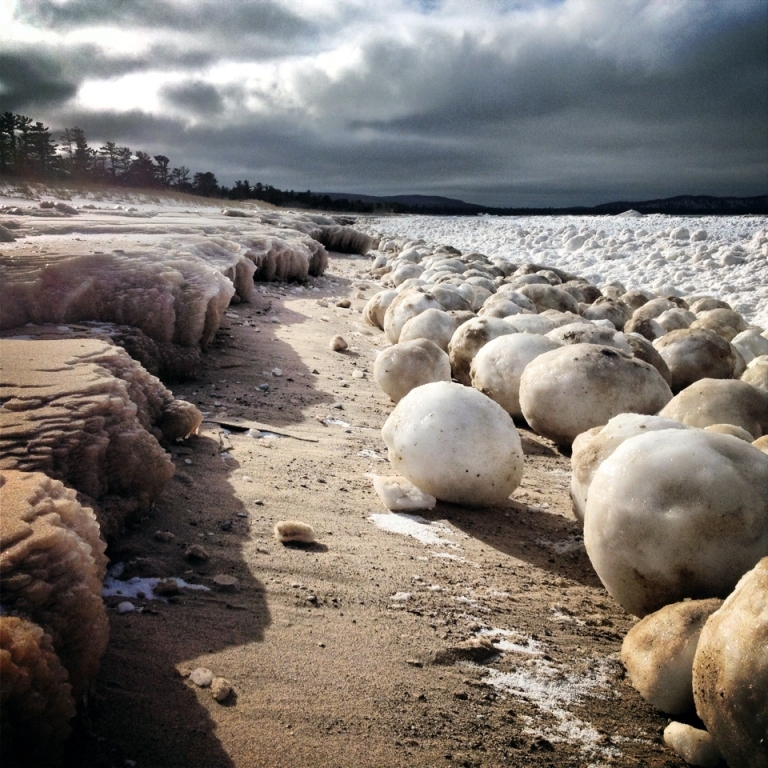 The strangest thing that makes these ice boulders weird and unique is not that they are rarely formed, but because they began to be bigger in their sizes than the normal size in which they are usually formed. 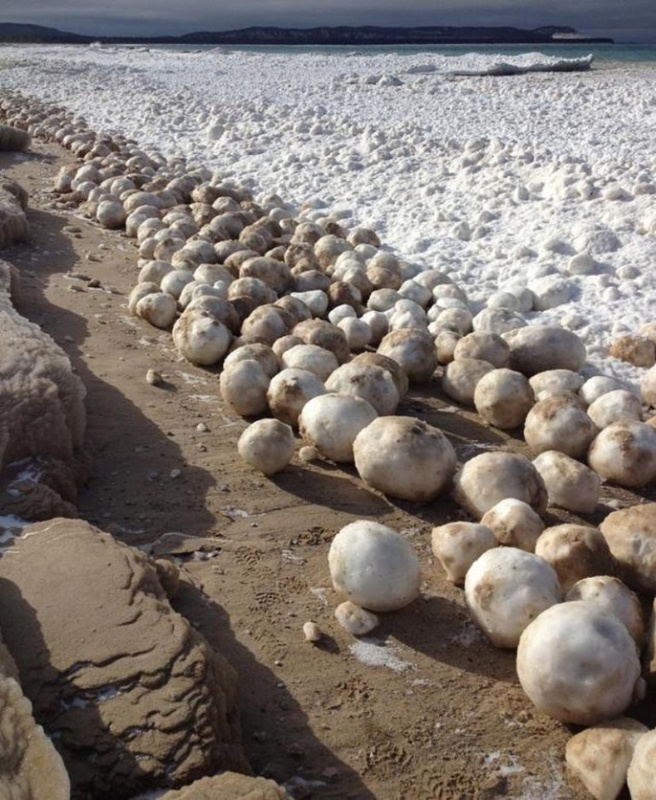 The most important question here is how are these giant ice boulders created? 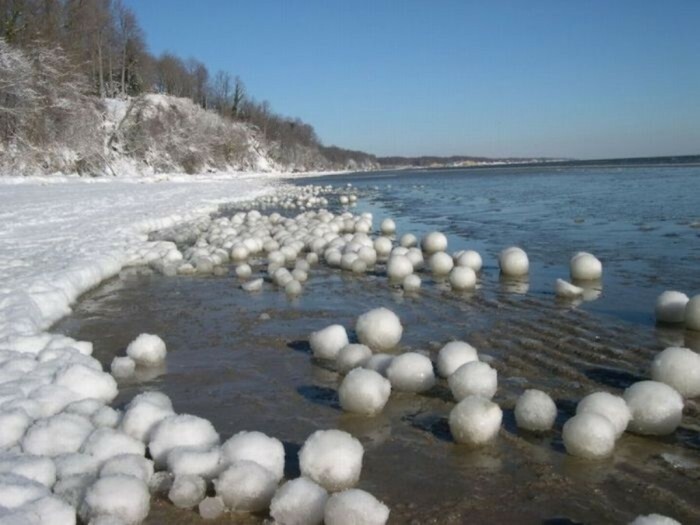 It is impossible to say that these ice boulders fall from the sky with rain or that they suddenly appear. These boulders are a mixture of ice and slush. 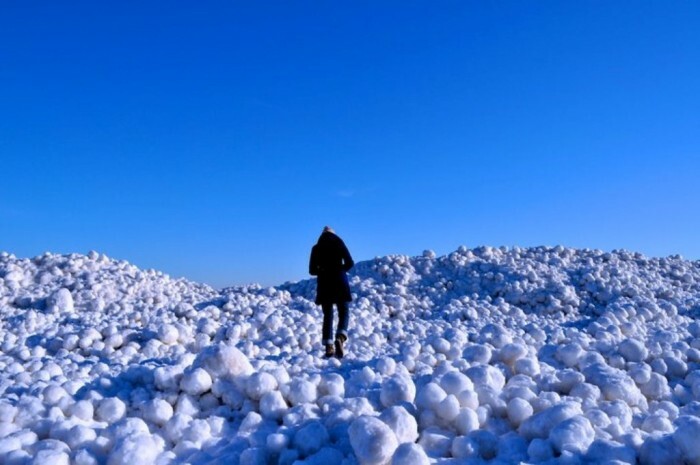 They are naturally created as all what happens is that the ice chunks which are found along the shore are churned by waves back and forth to slowly grow in below freezing water and form these giant ice boulders. 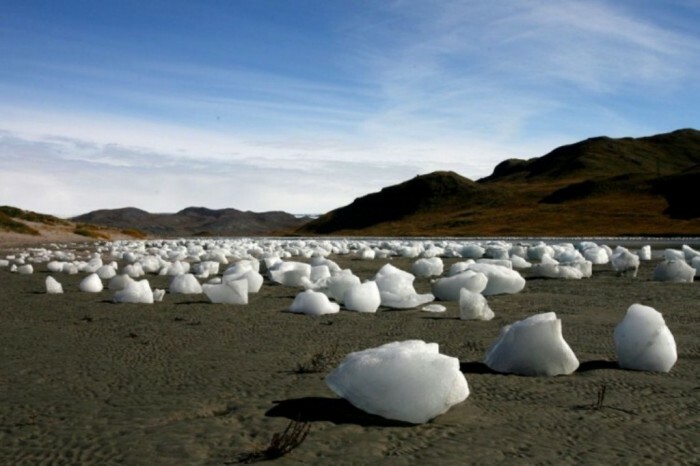 The process of churning ice chunks back and forth makes the surface of the ice boulders smooth not rough to be like balls. 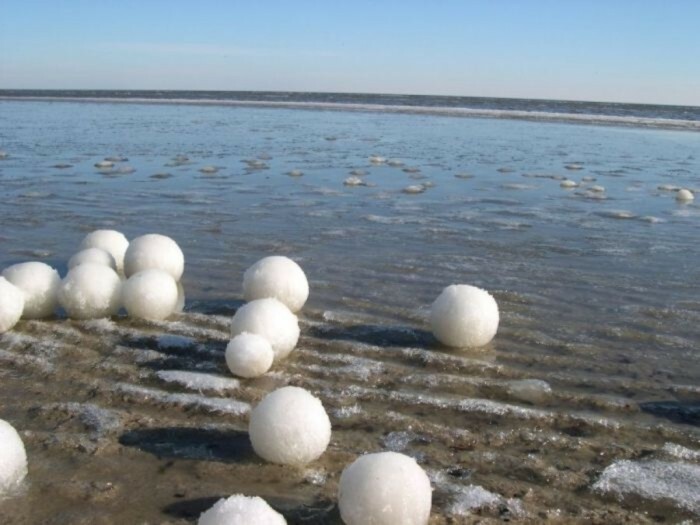 These ice boulders are considered to be the latest shapes that are created from ice which makes them unique and they also can be rarely found on other shores around the world because forming them requires specific temperature.